In Europe, emissions of 95 g / km CO2 have targeted for all cars by 2021 [1-2]. In addition, with the introduction of hybrid and electric vehicles into the market, automotive companies have stepped up to high-performance motor technologies to maintain competitive conditions. These technologies are; turbocharging – supercharging systems, variable valve timing (VTEC), variable compression ratio, three, four or five valve applications per cylinder, advanced combustion concept, lambda strategies, engine lubrication applications, poorly mixed overfilled direct injection (LBDI) . However, there are some limitations to the application of high performance motor technologies such as knock limit, thermal resistance, mechanical resistance, engine wear, and supercharging / turbocharging response. In this study, the future trend of conventional engines will be mentioned by referring to the applications of downsizing and performance enhancement in internal combustion engines. Avrupa’da 2021 yılına kadar tüm otomobillerde 95 g/km CO2 emisyonu hedeflenmiştir [1-2]. Ayrıca piyasaya hibrid ve elektrikli araçların giriş yapmasıyla birlikte otomotiv firmaları rekabetçi koşulları sürdürebilmek için yüksek performans sağlayan motor teknolojilerine hız verdiler. Bu teknolojiler; aşırı doldurma sistemleri, değişken supap zamanlaması (VTEC), değişken sıkıştırma oranı, silindir başına üç, dört ya da beş supap uygulaması, gelişmiş yanma konsepti, lambda stratejileri, motor yağlama uygulamaları, fakir karışımlı aşırı doldurmalı direk enjeksiyon (LBDI) ve düel enjeksiyon uygulamalarıdır . Ancak yüksek performans sağlayan motor teknolojilerinin uygulanmasının önünde; vuruntu sınırı, termik direnç, mekanik direnç, motor aşıntıları ve süperşarj/turboşarj cevap süreleri gibi bazı kısıtlar da bulunmaktadır. Bu çalışmada içten yanmalı motorlarda hacim küçültme (downsizing) ve performans arttırma uygulamalarına değinilerek, konvansiyonel motorlardaki gelecek trendine yer verilecektir. Reducing CO2 emissions from passenger cars, https://ec.europa.eu, Visiting Date: 20.12.2017. New Car CO2 Report 2017, The 16th Edition, The Society of Motor Manufacturers and Traders Limited, Visiting Date: 20.12.2017. Demir, A., Minimumdan maksimum almak: Küçük hacimli, yüksek performanslı motor teknolojileri, Otohaber Dergisi, 2007. Anonymous, Engine downsizing, http://www.mce 5.com/vcr_strategy/downsizing.html, 2009. Hong, S., Park, I. ve Sunwoo, M. Model-based gain scheduling strategy for an ınternal model control-based boost pressure controller in variable geometric turbocharger system of diesel engines, J. Dyn. Sys., Meas., Control 138(3), 031010, Jan 18, 2016. GM's 10 steps to a quiet new pass-car diesel, http://articles.sae.org/15601/, 08-Sep-2017. , Demir, A., Downsizing motor üretim felsefesi', www.otomotivbilgi.com web sitesi, 2010. A new eSupercharger for city-car engine boosting, http://www.sae.org, 19-May-2017. Volvo "triple boost" engine uses twin turbos plus e-compressor, http://articles.sae.org, 23-Oct-2014. Rabhi, V., Turbocharged in-line four-cylinder MCE-5 VCR SI engine, Engine Expo-Stuttgart, 2007. Demir, A., Hibrid ve elektrikli taşıtlar ders notu, 2016. Rockström, R., An engine start/stop strategy for a hybrid city bus, 2009. Start-Stop Sistemi, http://binekarac.vw.com.tr/vwsozluk, Erişim Tarihi: 21.11.2016. Start-Stop Sistemi - Operating principle, http://br.bosch-automotive.com, Erişim Tarihi: 21.11.2016. Demir, A., Değişken yollu emme manifoldu, www.otomotivbilgi.com web sitesi, 2010. Nissan unveils 2018 production variable-compression-ratio ICE, http://articles.sae.org, 03-Oct-2016. Audi evolves the Miller cycle in its new 2.0-L spark-ignition engine, http://articles.sae.org/14140/, 11-May-2015. FSI/TFSI principle, https://www.audi-technology-portal.de/en/drivetrain/fsi-tsi-engines/fsi-tfsi-principle, Erişim Tarihi: 20.12.2017. Fehre, N. ve Schneider, H., Hybrids and electric vehicles: Hype or sustainable investment? The truth about market potential and investment ideas”, Industrials/Global Autos – Equities, 13 October 2009. Birch, S., Variations on a theme by Saab''; Automotive Engineering (SAE), pp 54, 2001. Jobin. P., Yamaguchi. J. ve diğ., Electric vehicles, Global Equity Research - Energy Technology / Auto Parts & Equipment, Credit Suisse, 2009. Kitler, E., Tercüme: Ebru Akyürek, Bir İkiden büyük mü?, Auto-Motor & Sport, 2009. Radu, M., Volkswagen TSI engines explained, Auto Guide, https://www.autoevolution.com, 26 May 2013. Panait, M., 2017 Audi Q5 Priced From EUR 39.500 / GBP 37,170, https://www.autoevolution.com, 13 Jan 2017. ISNAD ÖZ, Ali , DEMİR, Abdullah , SAĞIROĞLU, Selami . "İçten Yanmalı Motorlarda Performansı Arttırıcı Uygulamalar". 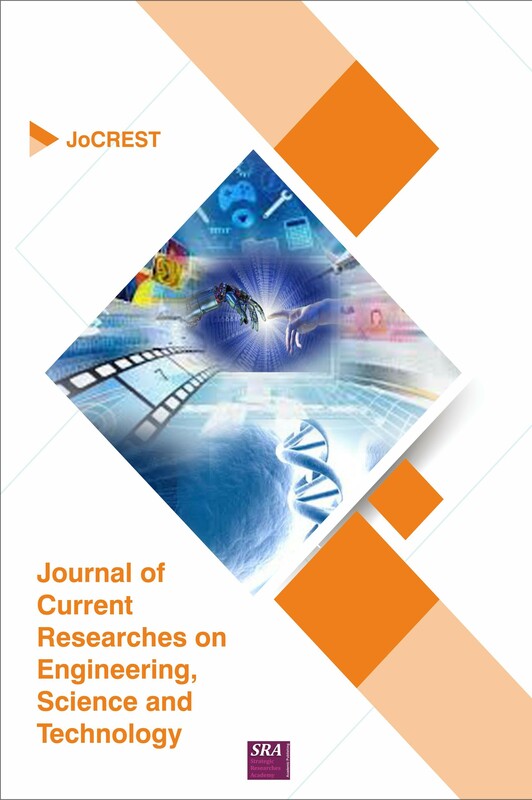 Journal of Current Researches on Engineering, Science and Technology 3 / 2 (December 2017): 33-48.